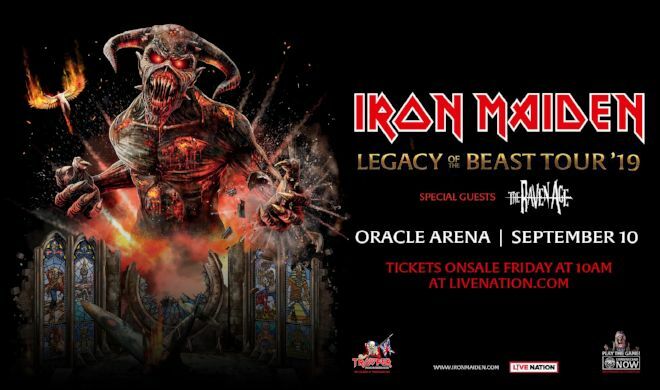 Iron Maiden will bring the Legacy Of The Beast Tour to North America in 2019 with a stop in Oakland on September 10th! Get presale tickets on November 15th from 10 am - 10 pm with code: OAKLAND. 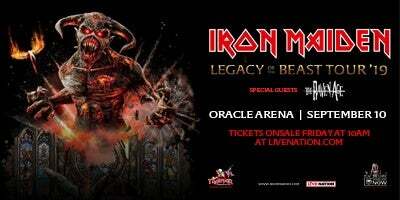 The band's triumphant first leg of the Legacy Of The Beast Tour opened in Europe earlier this year to outstanding critical acclaim, not just by the 750,000+ fans who came to see the show but right across national press and rock media, including The Times (UK) newspaper calling it "..an extraordinary show filled with world class theatrics...a masterclass in performance and staging." Parking costs $40 for cars and $85 for buses and limos.